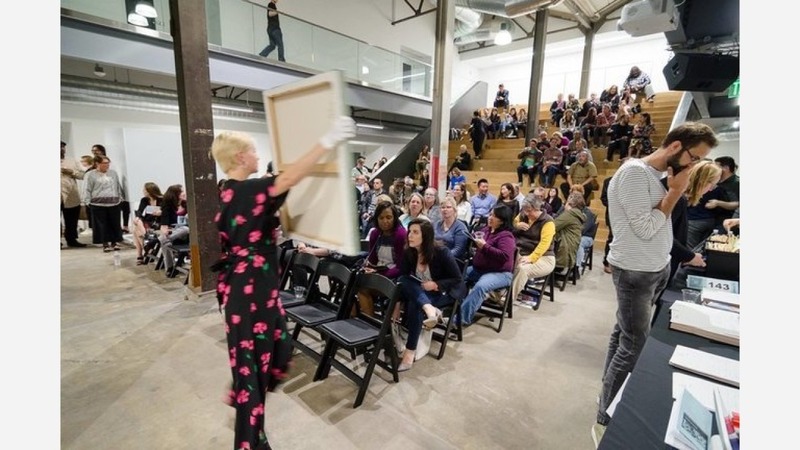 An annual art auction that's raising funds for a Tenderloin-based nonprofit kicks off at the Minnesota Street Project on Thursday, featuring works gathered from local and regional artists, galleries, and collectors. The event supports Hospitality House, an organization founded in 1967 that assists San Franciscans who are coping with homelessness. The group serves a roughly 50-block area that includes Mid-Market, the Sixth Street corridor, and the Tenderloin. Each year's art auction draws more than 250 art lovers, artists, collectors and community partners who bid on displayed works in live and silent auctions. Hoodline is the event's exclusive media sponsor. Many pieces were produced by artists using space and materials provided through the group's Community Arts Program (CAP), the only free gallery and fine arts space in San Francisco. "It's not only a fundraiser, it's a way for our neighborhood artists to hang their work side-by-side other notable artists from all over the country," said director of development Allan Manalo. National artists represented include Chad Hasegawa, Barry McGee, and Catherine Wagner, among others; in all, 136 artists are participating in the auction, with approximately 25 to 30 from CAP. "For our CAP artists, to see their artwork in a pretty prominent gallery, it helps them believe in themselves and gives them that sense of humanity and purpose," said Manalo. 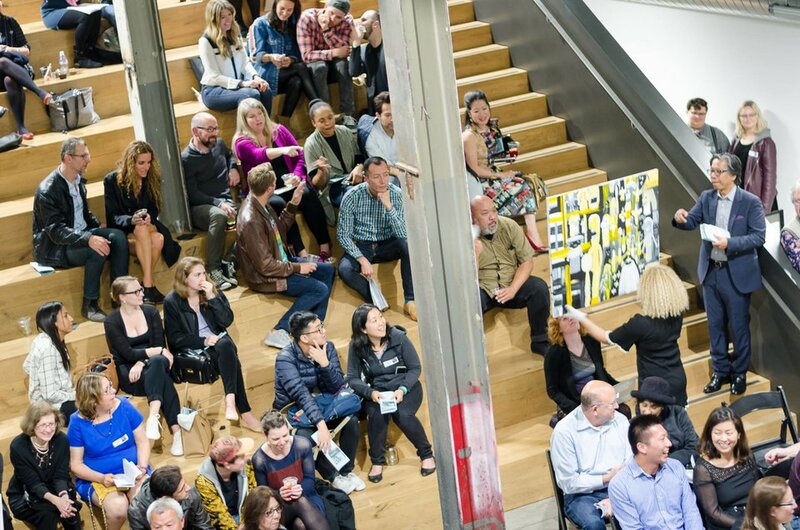 Manalo said the Art Auction raises crucial funding for all of the nonprofit's six programs, including CAP gallery at 1009 Market St. (at Sixth Street) for Tenderloin and SoMa artists who don't have regular access to art materials. "CAP -- which is where the art auction came from -- is the only studio in the city that allows anyone to come in and make art at no cost, including materials and lesson," Manalo said. One hundred percent of the proceeds of each sale go directly to the artist, he added. Other community programs include a men's shelter, two self-help centers for case management, housing and employment assistance, "or even just a place for neighbors to use the restroom or make a phone call," said Manalo. "We also have a community-building program that teaches leadership skills with a trauma-informed approach as well, for residents to learn how to get themselves involved as far as policy-making," he said. For the second year, Hospitality House is partnering with MSP to host the event at one of its three Dogpatch warehouses. 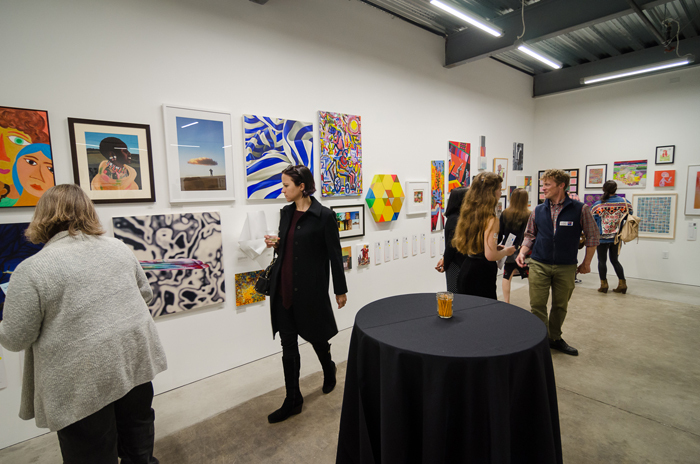 The gallery's mission is to provide affordable and economically sustainable space for artists, gallery exhibitions and other related nonprofits. Manalo said that on average, the auction raises about $70,000, but this year, "our goal is to raise $100,000, so, we'll see how that goes." This year, the organization has also set up a mobile cause pledge fund for one or recurring donations separate from the Art Auction fundraiser. To donate, Text "hospitality" "pledge amount" "name" to 91999. Hospitality House's 33rd Annual Art Auction takes place Thursday, May 17 at 6 p.m. Tickets are $75 at the door, or $50 in advance.